For last few months, Ashampoo products were being offered now and then as freebies almost every month. Today also, another freebie from Ashampoo. 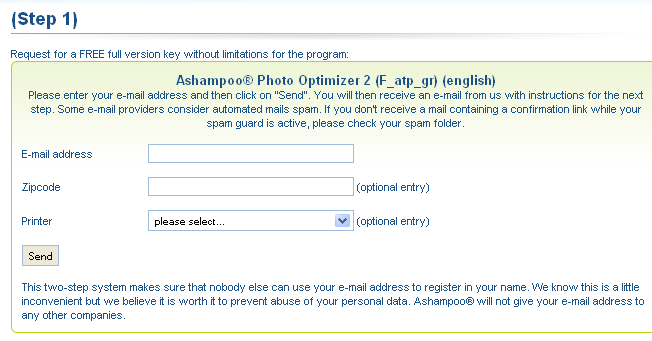 You can grab Free Ashampoo Photo Optimizer 2 With Serial Key till the promotion expires. Just a note here. The latest version of Photo Optimizer is version 3 but the offered free version is 2. To get it for free, Follow the steps below. 1. Visit this promotional page. 2. Enter name and email details to get the license straight in your inbox. In the email you need to click a clickÂ and after that fill some details to get the key emailed in next email.